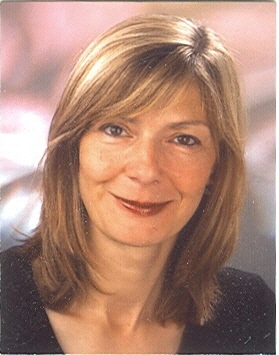 My name is Judith Waczek, I teach the exam preparation courses for the University of Cambridge Certificate in Advanced English at the Volkshochschule Kempten. I have designed this website to give you the opportunity to get to know blended learning before you enrol for the CAE exam preparation course offered throughout Bavaria. Please feel free to explore this website and to contact me through the questions and answers forum any time you like. Have fun ! This area can be used for communication throughout the course. In this section you will find a course description and links to relevant websites. Here you can also access online-dictionaries and help build our course glossary. The University of Cambridge Certificate in Advanced English (C1) is aimed at people who can use English for most professional, social and academic purposes. Recognised around the world among employers, universities and government departments, it remains valid for a lifetime. You can take the exam three times a year at recognised exam centres. The preparation for the exam can take up to four semesters, depending on candidates' previous level. You should have passed the FCE exam or a good 'Mittlere Reife' to participate successfully. With the help of authentic language examples students will be able to revise and expand their knowledge of English. Exam folders help students to develop the skills necessary to cope with the exam. Students who do not wish to take the exam are welcome to join the course too. Here you can become familiar with some typical learning materials that will be used in our course. Here you will find our unit assignments. If you open the assignments, you will find a detailed description of your tasks. In this section you can check the progress you have made. Please fill in the following feedback after working through this unit. Thank you!